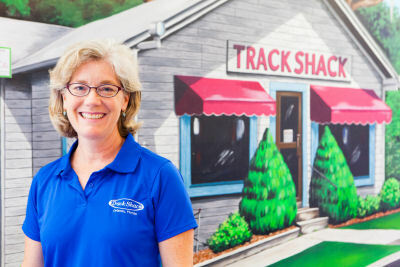 Track Shack has been in its current location since 1996. Jon and I remember the weekend we moved the store two blocks down Mills Avenue. The summer Olympics were in Atlanta, and we really wanted to drive up for the marathon. But, there was a lot of work to be done in the old boat store first, which was built in 1947. It was almost an empty shell inside and that meant electrical work, floors, ceilings and walls all needed updates. We had lots of help and in the end, moving day was a success and we watched and cheered for Keith Brantly as he placed as the top American in the Olympic marathon. What a summer that was. Updates on homes, updates on Track Shack and updates on our bodies were all part of the first half of 2014. Repairs at home never end but we are lucky to have experts help us out. When we decided to update the store this year, I needed an expert and thankfully one of our customers stepped in with more enthusiasm and ideas than I ever imagined! And now that Track Shack has a new look, we couldn’t be happier. Fortunately, when Jon needed an expert this spring to give his arteries a little push, we were lucky then too. School started recently and yes, that means football season but, hey, it also means cross country season and road race time! We see young runners everyday training on the roads and we see them at the store getting geared up: shoes, (or should I say, their foundation?) socks and of course racing spikes. It is great to see these strong new runners begin a lifelong love for the sport we so enjoy. Like a new house, their bodies are fresh and fit, and for the most part, injury free. Their bones and joints have fewer miles on them and it is fun to see their energy at the meets. We also have many new runners and walkers in our fall events. The dedication we see in all these athletes is amazing, especially considering we are still in the stickiness of summer heat. This is the time of year we are asked many questions about nutrition and, of course, hydration. It is sort of like the plumbing of your home. You must listen to your body and plan in advance to make sure your training runs go well. Check out our bathroom stickers at Track Shack to see if you are hydrating enough! 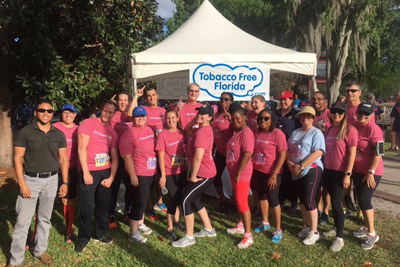 Many of you may be training for fall events, like Chicago and New York, or even the Orlando OUC Orlando Half in December. The half marathon runs through downtown Orlando, many different neighborhoods, and is truly the most beautiful run in the city. We are so excited to call this Track Shack event a favorite in the entire southeast. Jon is also training for a fall marathon. His legs have many, many miles on them, but for the most part he has been injury free since time began…just kidding :) But he has been running for more than 40 years! Like the wood floors we have, the legs are a little squeakier than they used to be. It doesn’t mean we can’t train, but it does require a little extra maintenance. My feet and back still let me run but not the big miles anymore. So Jon and I stretch and strengthen our core more often than we used to think was necessary. Look around at the diversity at the events, at the ages of some runners! Let them inspire you to keep moving! Scroll through some of the results of our events like Celebration of Running and Rock ‘n’ Run 5k; count how many participants are 70 + years old! Whether walking or running, we want to be like these folks when we grow up.